How live streaming is transforming the music industry…and why that might scare you. 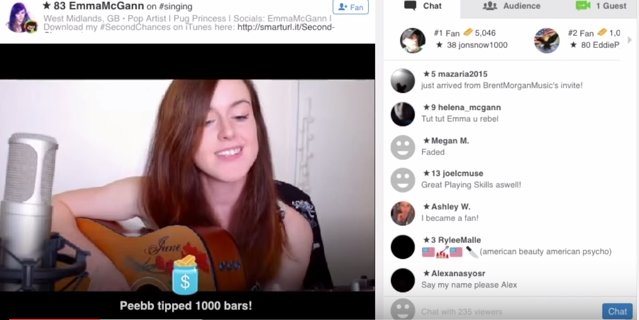 With some musicians making $10,000 a month and others getting signed to label deals thanks to their exposure on YouNow, live streaming clearly offers opportunity for artists to build and engage their fanbases in a unique way. But can live streaming platforms like YouNow really move the needle for musicians? Is it just a fun activity or can it become an essential part of an artist’s marketing toolbox and actually create revenue for the industry? For more info on this study or other digital media consumer research, contact Dave Marcello, Head of Growth at Audiokite Research (dave@audiokite.com). 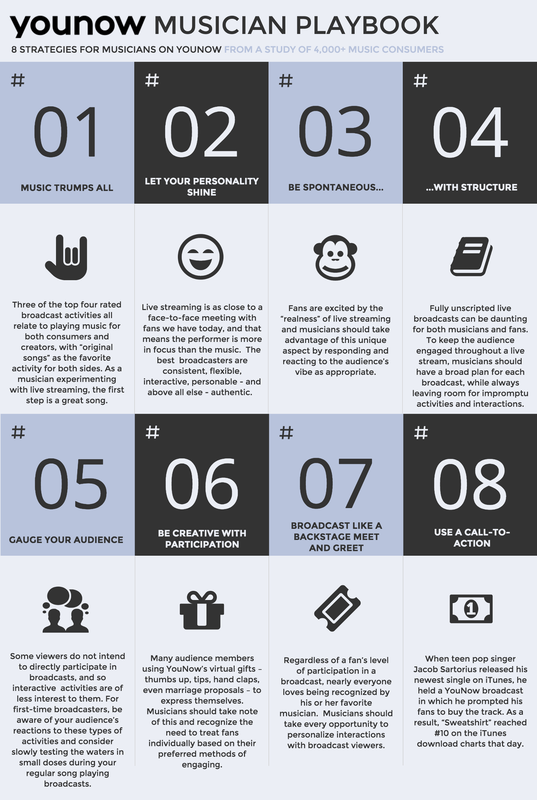 We help musicians, labels, and media companies better understand their audiences through crowdsourcing.